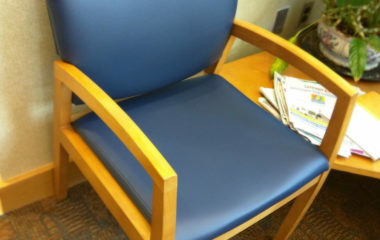 Exam table upholstery can often be a huge burden to medical clinics. Many attempt to reduce the cost by buying replacement covers online. The color choices are often limited. 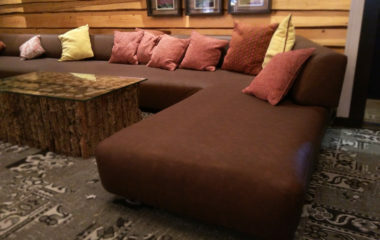 The covers are mass produced and are often the wrong size. Also, any number of defects and previous repairs can make those premade covers unusable. 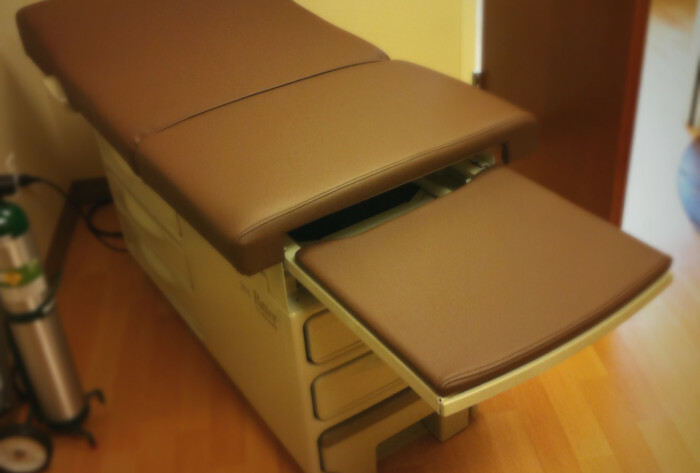 We can provide medical centers with high durability custom covers. Our most durable solution, BoltaSport Olympus, has 27 robust colors. However there are many vinyl solutions and we can match existing pads if necessary. 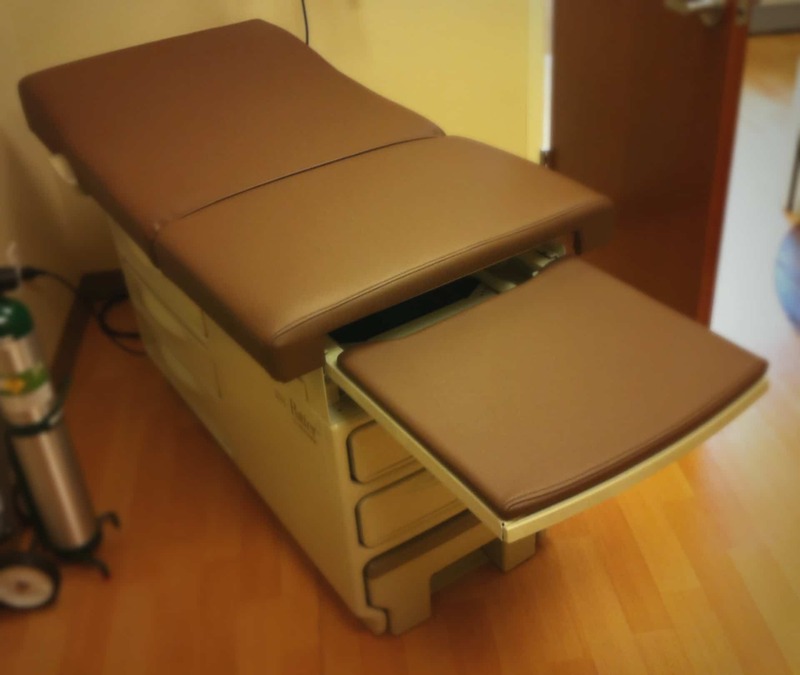 How does exam table upholstery work? We’re happy to get our customers free estimates before service. It’s a great opportunity to talk over vinyl options and for us to get a good idea of what service will involve. 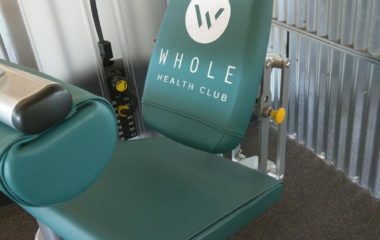 We’re familiar with working with hospitals and clinics busy schedules. When the works been approved we schedule for the best and most convenient time. We arrive promptly and generally park by a service entrance so we don’t disturb any patients. We remove the exam table pads and take them out to the truck. The staples and old cover are removed. We then custom and pattern and sew a new made to fit cover. We ensure that the covers fit properly because a loose cover will not last as long. We use a quality thread that’s resistant to bleach, heat, mildew and sunlight. All out techniques are focused on giving our customers top quality covers. When the new covers have been installed we promptly return the exam tables to working order. 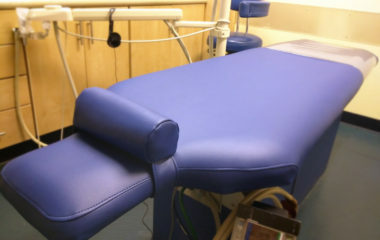 We completed 4 completely custom, made to fit, exam table covers in only a little over 4 hours. All the while working around their schedule to make service as convenient as possible. Advantage provides the ultimate in quality and convenience to medical offices by bringing the shop and service to you!